This tutorial will be showing you how to install qBittorrent on Ubuntu 18.04. qBittorrent is a free, open-source, fast and lightweight P2P BitTorrent client written in C++ / Qt, available for Linux, FreeBSD, MacOS and Windows. It aims to provide an open-source alternative to uTorrent., which is a very popular BitTorrent client among Windows users. Supports main BitTorrent extensions like DHT, peer exchange, full encryption. You can also remotely control it via the qBittorrent Web interface. qBittorrent is included in the default Ubuntu software repository. You can easily install it on Ubuntu 18.04 desktop by running the following command in a terminal window. However, it is outdated (v4.0.3). The latest version 4.1.2 was released on August 12, 2018. To get the latest version of qBittorrent, you need to install it from the official qBitorrent PPA (Personal Package Archive). First, run the following command to add the PPA. Press Enter to continue. It will update the software repository index. After that, run the following command to install the latest version of qBittorrent. This PPA also works on other Linux distributions that are based on Ubuntu, such as Linux Mint and Elementary OS. If your system already has qBittorrent installed, then the above commands will update qBittorrent to the latest version. Don’t worry, your existing torrents are safe. Once installed, you can start qBittorrent from application menu. 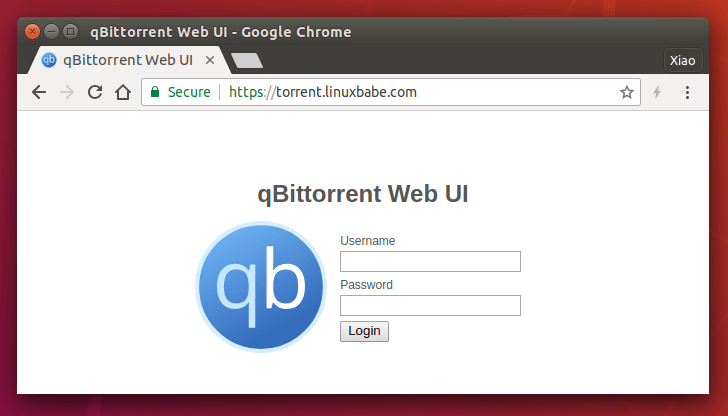 The web UI allows you to remotely control qBittorrent in a web browser. In the qBittorrent application window, go to tools > Preferences > Web UI. Check the Web User Interface (Remote Control) option. Change IP address from 42 to the IP address of your computer (like 192.168.0.102). Select a port (by default 8080). Set a username and password. (By default “admin” and “adminadmin” respectively). 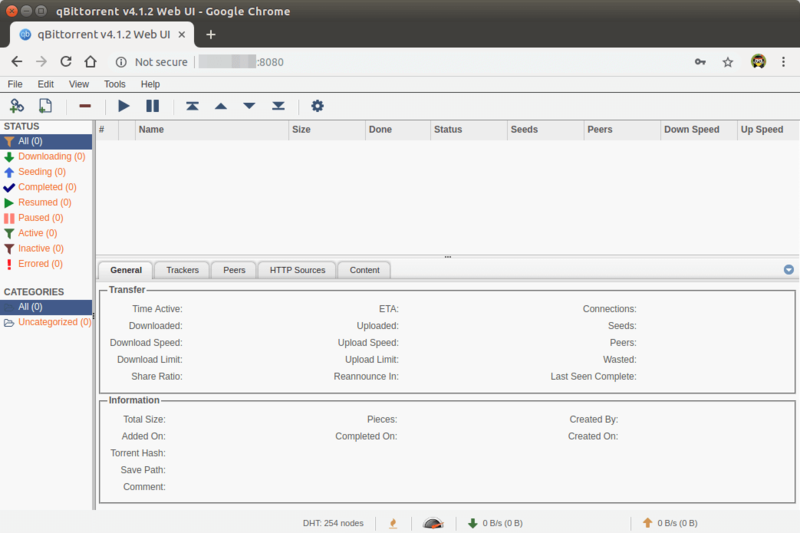 Now in my local network, I can access qBittorrent web interface via 192.168.0.102:8080. To enable autostart, open the Startup Applications from your applications menu. It can also be launched by issuing the following command in the terminal window. Then click Add button to add a new startup program. In the Name field, you can enter something like “qBittorrent”. In the Command field, enter /usr/bin/qbittorrent. You can leave the comment field blank. After that, click Add button. You can install qBittorrent command line client on a headless Ubuntu 18.04 server and manage it via the qBittorrent web interface (You control it in a web browser). SSH into your Ubuntu 18.04 server and use the same PPA to install qBittorrent daemon. However, starting qBittorrent-nox this way isn’t recommended, because you can’t run other command while it’s running. Press Ctrl+C to quit it now. We can create a systemd service unit so it can run in the background and also start at system boot time. Create the qbittorrent-nox user and group so that it can run as an unprivileged user, which will increase your server’s security. The --system flag means we are creating a system user instead of normal user. A system user doesn’t have password and can’t login, which is what you would want for a torrent client. A home directory /home/qbittorent-nox will be created for this user. You might want to add your user account to group qbittorrent-nox with the following command so that the user account has access to the files downloaded by qBittorrent-nox. Files are downloaded to /home/qbittorrent-nox/Downloads/ by default. Note that you need to re-login for the groups change to take effect. Then create a systemd service file for qbittorrent-nox with your favourite text editor such as nano. #Do not change to "simple"
To save a file in Nano text editor, press Ctrl+O, then press Enter to confirm. Press Ctrl+X to exit. Now start qBittorrent-nox with the following command. Note that if you change a systemd service file, you need to reload the systemd daemon for the change to take effect. You might also want to enable auto start at system boot time. You can see that qBittorrent-nox is running and auto start at boot time is enabled. By default, qBittorrent-nox listens on TCP port 8080 of 0.0.0.42, as can be seen with the following command. Port 8999 is used to connect to peers. I don’t know why 0.0.0.42 is set as a default. To access the web interface, I created the qBittorrent configuartion file. Copy and paste the following text into the file. Change 12.34.56.78 to the IP address of your Ubuntu server. Save and close the file. Then restart qBittorrent-nox. Now the Web UI can load without problem. Username is admin. Default password is “adminadmin”. It’s strongly recommended to change the default username and password. Go to Tools > Options and select the Web UI tab. Under the Authentication section, change both username and password. And now you can start downloading torrents on your Ubuntu 18.04 server. You have the option to upload local torrents or add magnet links. Files are downloaded to /home/qbittorrent-nox/Downloads/ by default. If you want to access qBittorrent Web UI remotely from your mobile phone or public Wi-fi, then you need to set up port forwarding in your router. Also I recommend setting up Nginx reverse proxy and enable HTTPS protocol to encrypt the communication. A reverse proxy is a proxy for another web server, in this case the qBittorrent WebUI. Setting up Nginx reverse proxy makes it easy to enable HTTPS protocol. Install Nginx on Ubuntu 18.04. Then create a Nginx server block file for qBittorrent WebUI. Copy and paste the following texts into the file. Replace the red-colored text with your own domain name and the IP address of your Ubuntu server. You should also set the A record for your domain name. If you don’t have a domain name yet, then I recommend buying domain name from Namecheap because their price is lower than GoDaddy and they give you whois privacy protection free of charge. 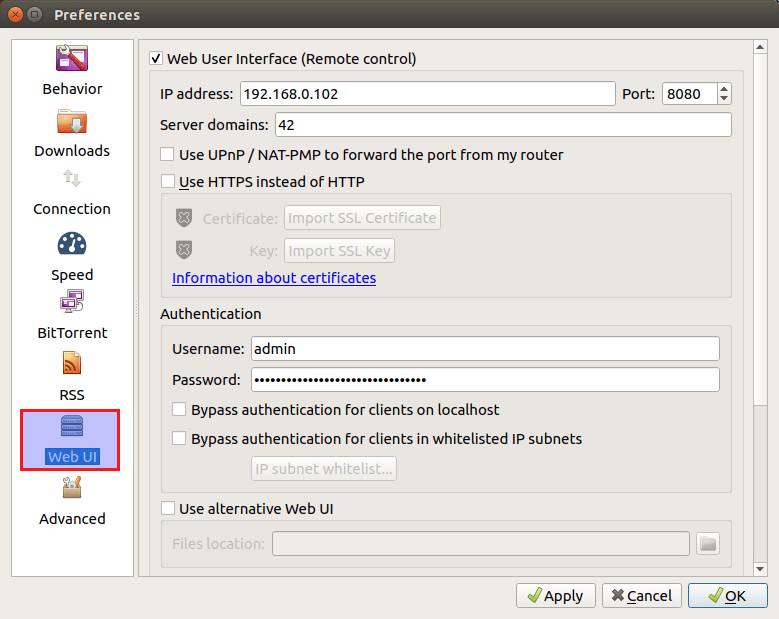 Now in your router, forward HTTP request (port 80) to the IP address of your Ubuntu server. 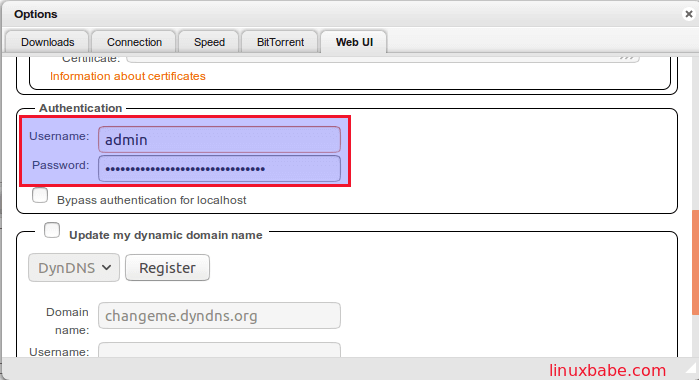 After that, you can access qBittorrent WebUI via your domain name (torrent.your-domain.com). Note: If your ISP gives you a NAT-ed IP address, i.e. not a public IP address, then port forwarding won’t work. Instead, you need to use PageKite to expose local web server to the Internet. To secure the Web UI, you can install a free TLS certificate issued by Let’s Encrypt. First you need to install the Let’s Encrypt client (certbot) on Ubuntu 18.04 server. Python3-certbot-nginx is the Certbot Nginx plugin. After they are installed, run the following command to automatically obtain and install Let’s Encrypt certificate. Once that’s done, refresh the qBittorrent Web UI. 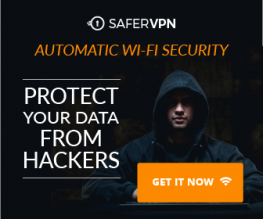 It will be automatically redirected to HTTPS connection. I hope this tutorial helped you install qBittorrent on Ubuntu 18.04 desktop or server. Take care. First of all thank you for your guide. Thanks to your guides, I realized the deluge setup and it works fine. I worked for about 6 hours, I investigated, but I could not solve the problem. Can you help me? Where is the mistake? From the screenshot, the error is that “start request repeated too quickly”. Comment out the following line in qbittorrent systemd service file. Thanks for your tutorials, I followed your steps everything is okay but webUI don’t show texts. I use Ubuntu 16.04, I followed your tutorial for Ubuntu 16.04 , I get same result, I followed this tutorial and get same same result. This is a great tutorial but I’m at the end of my rope here. I have followed this exactly word for word. I have qbittorrent-nox installed on ubuntu server 18.04.2. The service starts without issue, the web interface works fine but whenever I try to download an actual torrent it shoots up to 2-5 MBps then slowly plummets to 0. Almost like a firewall is catching all the connections and rejecting them one by one. I have checked ufw and it is “inactive” I have tried so many things it just doesn’t make sense. I started using this guide as a vm mounted on a Windows 10 host machine and it worked perfectly fine. I attached the same vm to a linux host and it didn’t work. I then took the time to move everything over to its own ubuntu server and I still can’t download anything. Any ideas would be so helpful. Thank you in advance. Great tutorial, got me up and running fast, thanks !